This beetroot tart recipe is really a deconstructed tart. 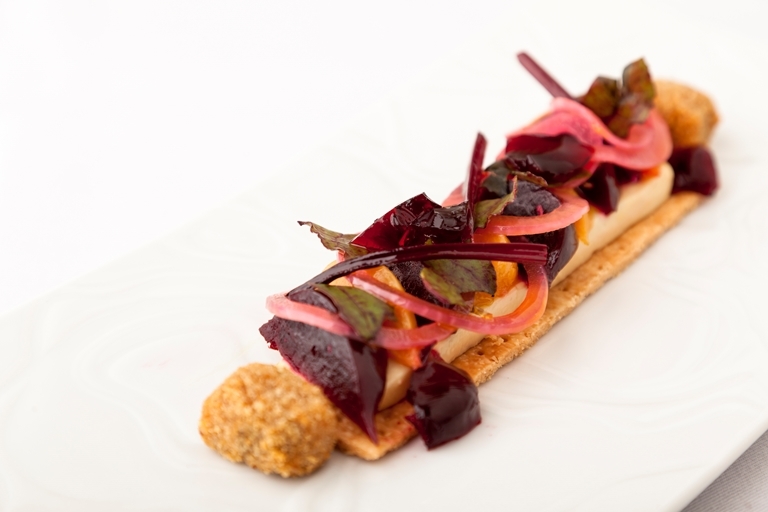 Kevin Mangeolles creates a delicious effect by placing the puff pastry beneath a creamy mousse and a colourful array of pickled red and golden beetroot. Beetroot jelly brings an interesting additional texture to this dish.